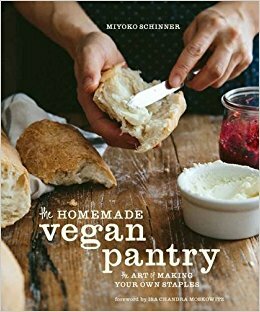 Home > Uncategorized > Bookmans Recommends Holiday Cookbooks for Vegans! 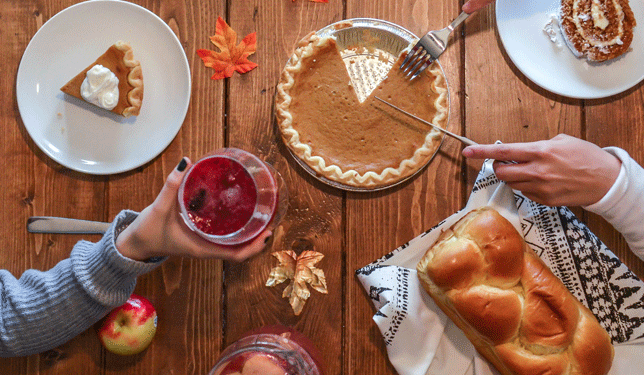 ‘Tis the season to eat literally all the food. And, you know, spending time with family… but also FOOD! Here at Bookmans we love books, so much so that the word book is right there in the name. But we also love cooking, and what better way to stretch our culinary muscles than by opting for a vegan recipe or two? For some, a vegan diet is a necessity. For others, it’s a way to stay healthy. No matter how or why you go vegan, throwing in a few vegan dishes throughout the week provides adds diversity to everyday cooking. Whatever the reason you are eating vegan, Bookmans has a plethora of colorful vegan cookbooks and culinary how to’s sure to impress this holiday season. For the vegan hipster who’s just discovered 90’s hip-hop. Spawned from the incredibly popular website, Thug Kitchen offers healthy vegan recipes with an equally-healthy dose of attitude. We’ve seen this title come across our trade counter many times and can say from experience the dishes provided are absolutely delicious. So if your living the vegan lifestyle or an avid subscriber to #meatlessmondays, pick up a copy of Thug Kitchen. Our fave is the peanut butter and banana nut muffins. If you’re like me you absolutely love Caribbean food but opt out of cooking it yourself because you are of the vegetarian persuasion. Don’t fret – Bryant Terry’s Afro-Vegan provides mouth-watering recipes inspired by Kenya, Ethiopia and my personal fave, the Caribbean. Why not try something a little different with smashed potatoes, peas, and corn with chili- garlic oil – an excellent replacement for dairy filled mashed potatoes. Or have both! You do you. If you ever thought you couldn’t go vegan because you love cheese, we have two recommendations that will literally change your life. 1) nutritional yeast and 2) The Homemade Vegan Pantry. If you like to collect skills like pasta making, knitting, and general car maintenance (okay, maybe some of us are preparing for the zombie apocalypse), then let The Homemade Pantry introduce you to crafting your own staples with a vegan twist. Learn to make your own mayo, cheeses, and pizza dough, plus so much more. Because let’s face it, if the zombie virus is coming from anywhere it’s meat and dairy production. Well there you have it! Three awesome options sure to impress this holiday season even if they are meatless and not covered in cheddar. You can find these recommendations and more at your local Bookmans store, but remember that Bookmans cannot guarantee stock. If you are interested in a title mentioned here please call your local Bookmans and one of our team members will be happy to assist you and even hold it for you too!